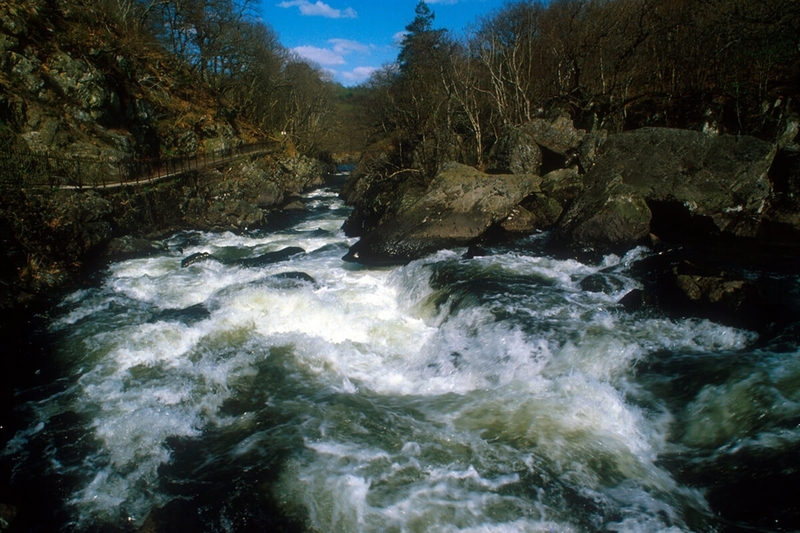 The impressive Falls of Leny can be seen near the village of Kilmahog north west of Callander in the Trossachs National Park. Visitors can explore the falls without the car from the town centre and follow the combined cycle-walkway along the old railway line following the river upstream and then return through oak woodland before rejoining the cycle track. The falls provide an impressive spectacle as crashing water forces its way between rocks in the narrow Pass of Leny. Car parking is available opposite the falls.